You will know that you didn’t go wrong in choosing your vacation spot as soon as you enter, for many, the most beautiful province in Italy – Tuscany. If you are not looking for accommodation in major cities, the right choice would be a reservation in the heart of Tuscany, in one of the beautiful and luxurious estates with vineyards, olive groves and pools. On that kind of estate, located near the town of Montaione, located between Pisa and Florence, it is accessible to you to visit other parts of Tuscany. 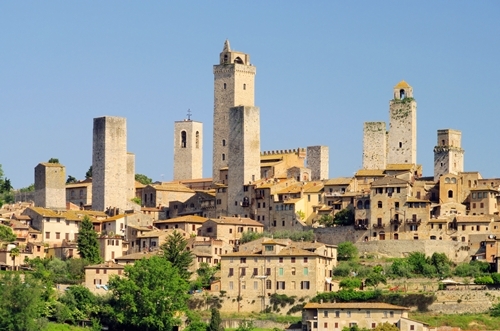 Tuscany is known for its hill towns, and one of them is Volterra. It’s the highest Tuscan town, with cobbled streets, 555 meters above the valley, known by the best masters of alabaster in the world. Certaldo is a town that is not common in tourist brochures, but the hosts warmly recommend a visit. It is very popular among Americans who come here for a romantic wedding in one of the beautiful medieval churches. Above the newer part of town is a fortress to which, if you’re not in really good shape to climb a very steep cobbled street, there is a cable car. Here is also located Boccaccio’s birth house. 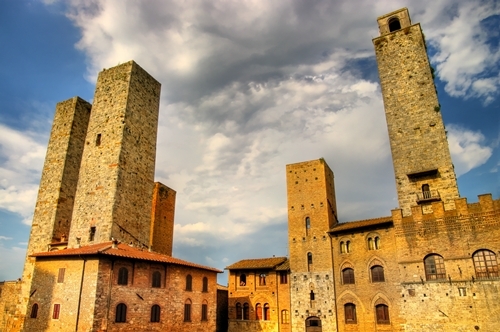 One of the most famous hill towns of Tuscany is San Gimignano, which is called a medieval Manhattan. The pride of this town is a group of 14 stone towers that seem to sprout from terracota tiles. Although small, the town boasts an incredible number of works of art from the 14th and 15th century. Piazza della Cisterna is a triangular square surrounded by towers and with a stone fountain in the center. This square is also known from the movie Tea with Mussolini. Cortona is one of the most interesting Tuscan hilltop towns with many Etruscan tombs, medieval alleyways, Renaissance art and breathtaking views. Some famous people born in Cortona are: Renaissance genius Luca Signorelli, Baroque master Pietro Cortona and 20th century futurist, Gino Severini. 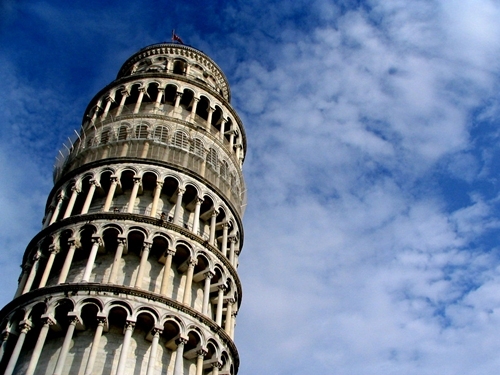 One of the most famous cities not only in Tuscany, but in Italy is certainly Pisa. One of the most magnificent squares located there is Campo dei Miracoli. 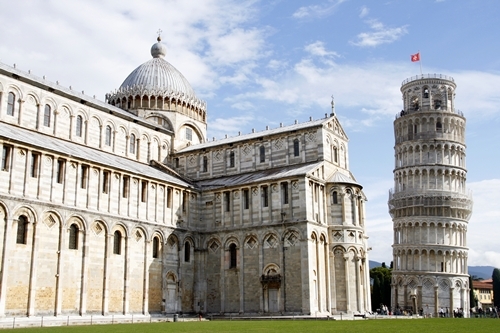 Its green carpet of grass is surrounded by Romanesque jewels of Pisa: cathedral, baptistery, Camposanto and the bell tower, one of the most famous symbols of Italy, primarily known as the leaning tower, whose construction began in 1173. The bell tower began to lean when the builders came to the third floor and was too hard for the muddy ground. Reconstruction began in 1990.